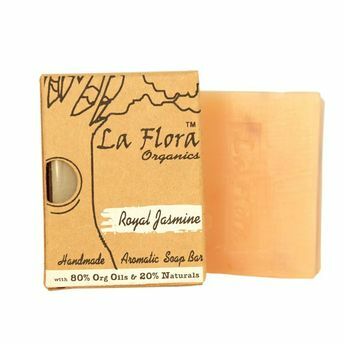 La Flora Organics Royal Jasmine aromatic soap bar is a handmade, vegan and cruelty free soap formulated using Cold process method.This aromatic bathing bar is enriched with natural Glycerin and Jasmine oil. "King of Oils"; Jasmine Oil with its wonderful, invigorating and sensual aroma also helps to improve the elasticity of skin and is a known skin toner for all skin types. 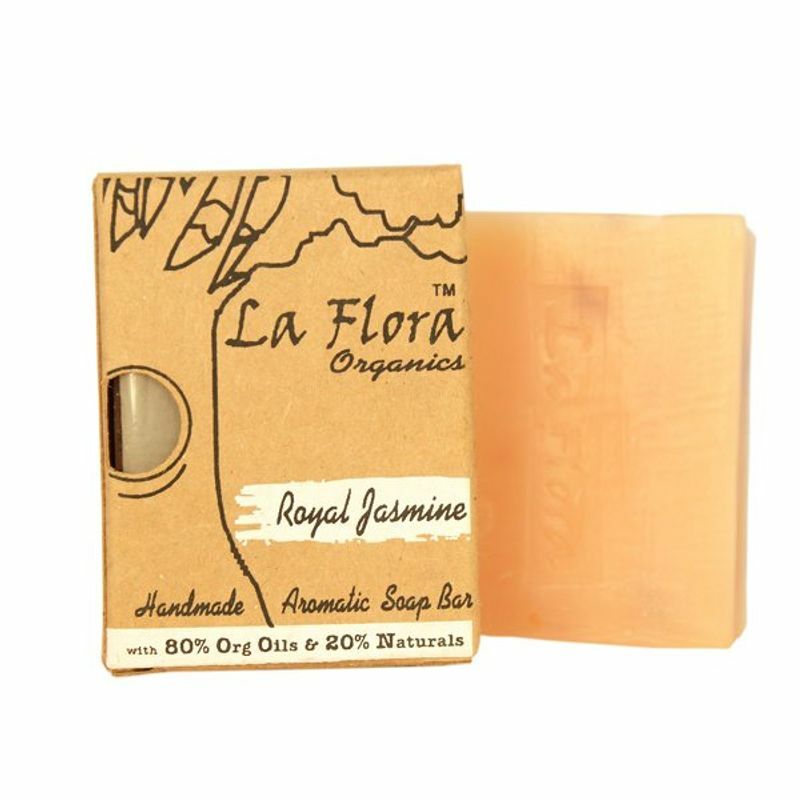 La Flora Organics Handmade soap is made using organic veg oils like Coconut Oil ,Olive Oil & Sunflower oil that will nourish & moisturise your skin leaving it soft & supple. Real Jasmine flowers adds to its aromatic properties.